Find out what activities and events we have in store for you. Want to find out about our Media Network? Learn more here. Any and all donations you send to Giantability Media Network will make a big difference. Learn more about our magazine now and find out how it can help you. Herods across the world are to brace up for an impending doom, the General Overseer of Living Faith Church aka Winners Chapel, Bishop David Oyedepo has prophesied. 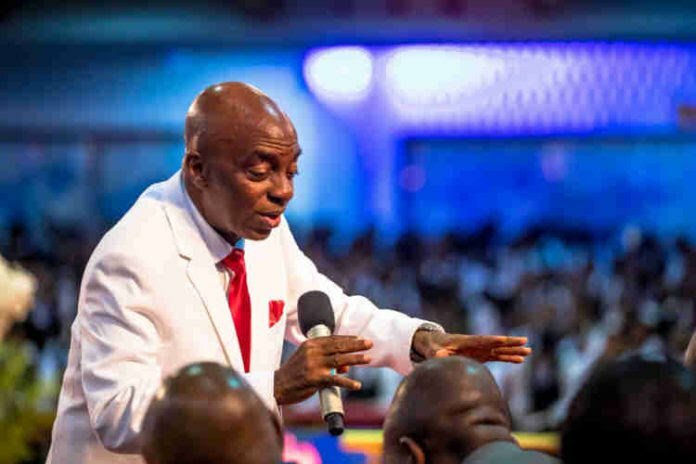 Bishop Oyedepo made the prophecy on Thursday morning session of the annual Shiloh program themed, ‘Dominion’ held at the headquarters of the church in Ota, Ogun State. In the sermon of the Hour of Visitation tagged ‘Unveiling the Dominion Power of Kingdom Priority Lifestyle’, the Cleric stated, “There are people the wicked know they can’t touch, you touch them, you see the red eyes of God. Many Herods will be eaten up alive across the nations of the world. “The people who think there are nobody like them, when God descends with his wrath, He (God) says, whoever touches you, touches the apple of my eyes,” he added. Meanwhile, in an earlier sermon, during the same session, assistant to the General Overseer of the commission, Pastor David Abioye whose preaching was based on diligence to achieve dominion urged Nigerians to be hard working. Using Joseph and Job as case study for his sermon, he pointed out that, “Diligent people are ever eager and excited to work no matter the level of the work. Diligent people don’t reject any assignment, they begin from somewhere going to some other higher places. “Diligent people don’t choose what to do, whatsoever your hands find to do, do it, is their motto. Before you find what you like, do what you find to do. Many people are busy looking for white collar jobs. Don’t go back home waiting for job. Knock from door to door, what do you have for me in this place including cleaning cars?” he further advised. We at Giantability Media Networks will gladly accommodate any of your questions or concerns. When you have something in mind, please let us know by reaching out to us through our contact information below.